Every now and again I am sent to do some IT work in one of our rep offices, i’ve been to Milan, Paris, Dubai, Cairo and the slightly less glamorous Aberdeen. 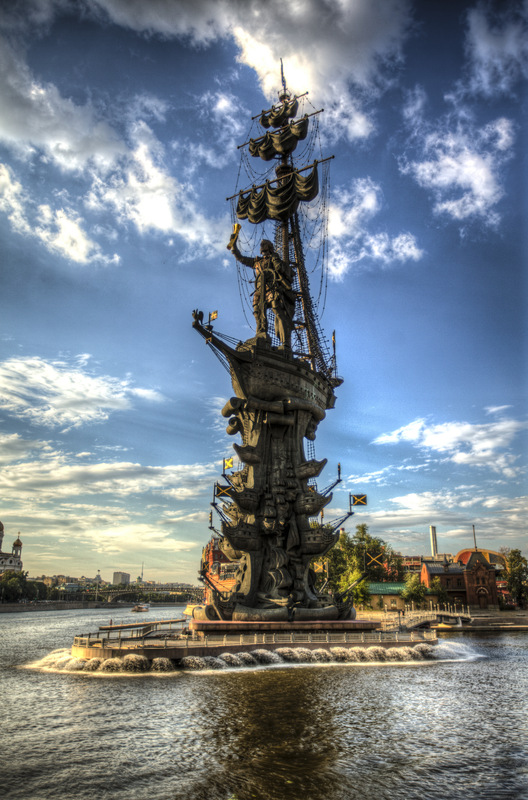 My favourite and by far the most interesting to me is Moscow, they fly me here, i’m not expected to drive the van! Last time I came here it was -35, cold even for an Englishman, it was the start of the Socchi olympics and the normally unimpressed looking Russians were smiling, i think they are unimpressed at this time of year because it’s bloody cold, even so, it’s a magical time to visit, most lakes freeze over and become ice rinks, the river which is easily as wide as the river thames also freezes over but I never saw anybody skating on it, there is snow everywhere and the parks are lit up with fairy lights, it’s like christmas everyday! Because it was so cold last time around the only tourist thing I did was take a trip on the metro to photograph some of the ornate stations, it’s warm down there! I also took a wander round Red Square as it was within walking distance to where I was staying, you can find those pictures on my flickr site here. This time I arrived when the temperature was quite literally at the opposite end of the scale, it was +35 when I landed, nice. As it’s a business trip I am usually picked up by the driver from the office but due to some bad communication he wasn’t coming to get me, I would have to get a taxi, I was concerned I would get ripped off but was assured if I picked up a taxi from inside the terminal I would be fine, I did exactly that and still got ripped off to the point where the hotel told me not to pay, called the police, hid me in a room and told me not to come out till it was all over, that put a stop to any first night excursions although it meant my taxi ride was free. Turns out the taxi driver wasn’t licensed and made up the fares as he went along, they were also all in Russian so his argument that I had agreed the fare was flawed as I don’t speak or read Russian and he didn’t speak English. The following day was a day in the office, a late finish, dinner and bed, not very exciting, however, the method in my madness was to get as much done as I could on one night so I could head out a bit early the following day and explore. 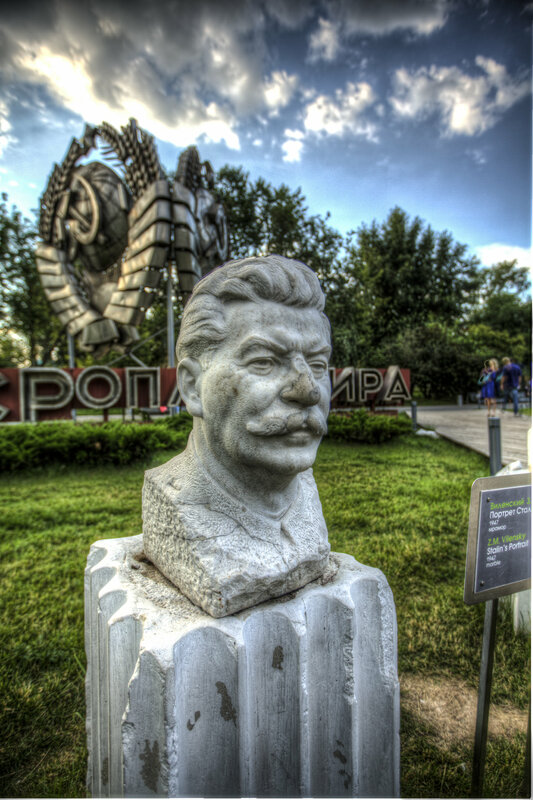 Next day the sun was shining, I didn’t want to do anything indoors,I wanted to make the most of some good weather, I braved the metro (it’s easy to get lost as there is nothing in English and Cyrillic makes no sense to me) and headed off to Gorky Park. 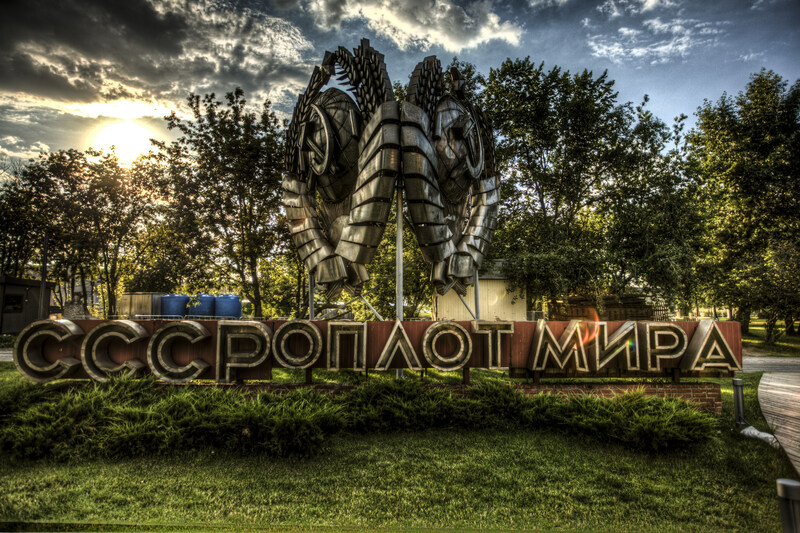 Over the road from Gorky park is another park called (by westeners) Fallen Monument Park. 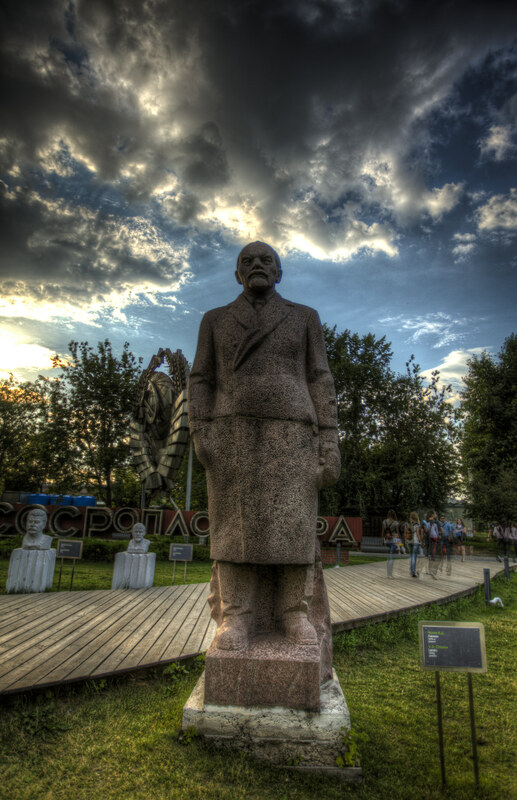 When the soviet union collapased, many of the old statues that represented the union were removed and some have made their way to the park. Each statue or monument has a little info board telling you what it is, some are quite obvious if you know your history. 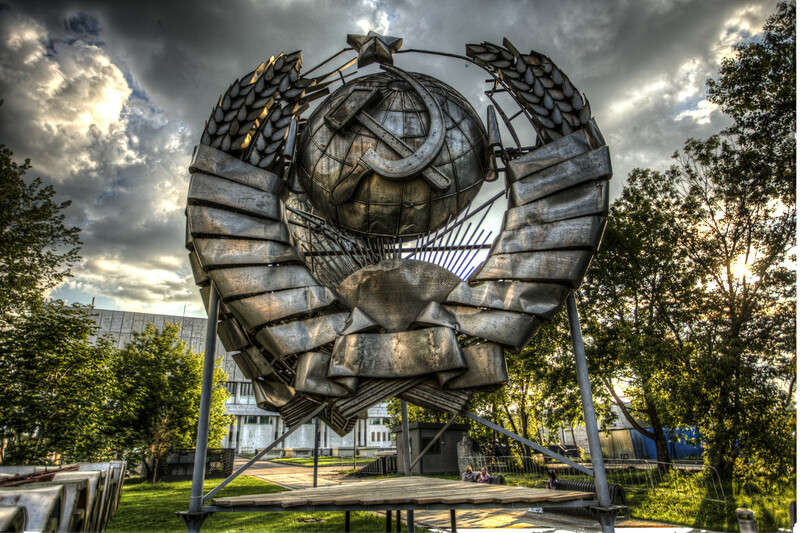 The monuments evoke a very cold war / iron curtain feel, I think they are awesome! From there I wandered to the river to take a picture of a quite massive monument! 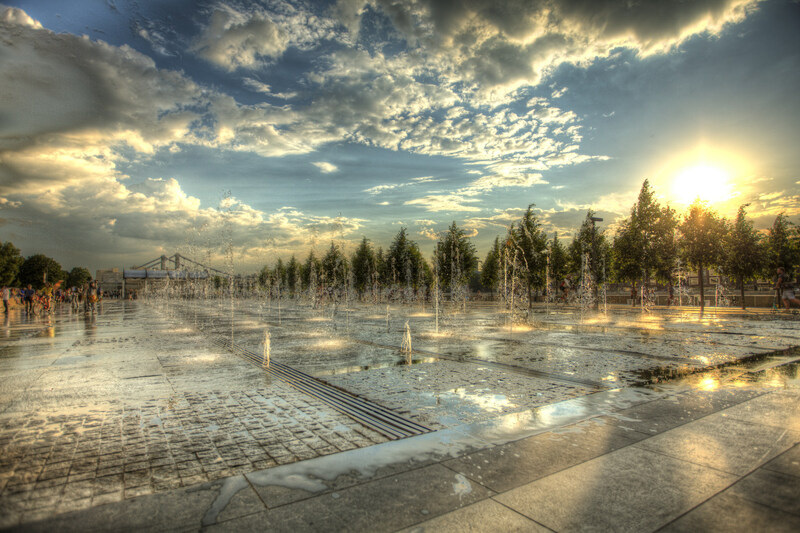 You can walk along the waterfront, under the bridge and make your way into Gorky park, the route is fairly busy with couples strolling hand in hand, cyclists belting along or towing people on skateboards,lots of rollerbladers, you can hire a bike if you want or just amble along on foot like me. 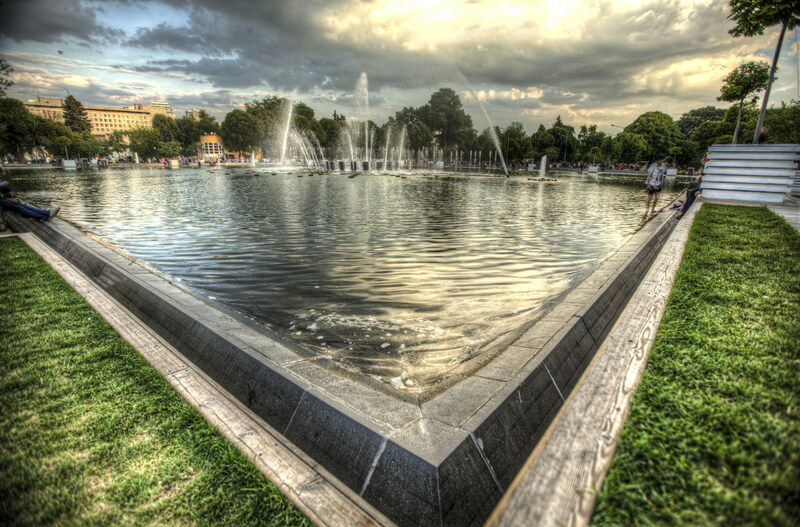 Gorky park is an incredible space, within the park there is so much going on, yoga classes with at least twenty or so people stretching in unison, table tennis, beach volleyball on sand, Russian dancing, kids running through fountains. There are restaurants and cafe’s dotted about the place, a boating lake with pedalos, massive bean bags to relax on, group running, I could go on, the most striking thing to me was the sound, a mixture of music and laughter which is a lovely thing to hear. There are at least 3 different fountains, one that does a show to classical music, all around there are brightly coloured flowers symmetrically arranged, if i’m honest I was pretty blown away, the only thing it didn’t have was Lolly, she was back at home and I know she would have loved walking round the parks. I took loads of pictures which as I write I still have to edit, I think I spent about 4 hours wandering round both parks and only decided to go home as the sun was going down, maybe I should have stayed and got some night shots, in fact I wish I had.